There is an instant and unique charm particular to the city of Salamanca, to which anyone who has set foot there can attest. The most striking thing upon arrival in the city is the unity of its historical center. As you walk along its ancient streets immersed, meandering along the alleyways, between breathtaking monuments, if you’re not careful, you’ll not only lose yourself but might actually get lost. Luckily, all roads lead to the pristine and perfect Plaza Mayor. This impressive pedestrian main square, lined with cafes and shops, is considered the living room of Salamanca for good reason: no one ever wants to leave. 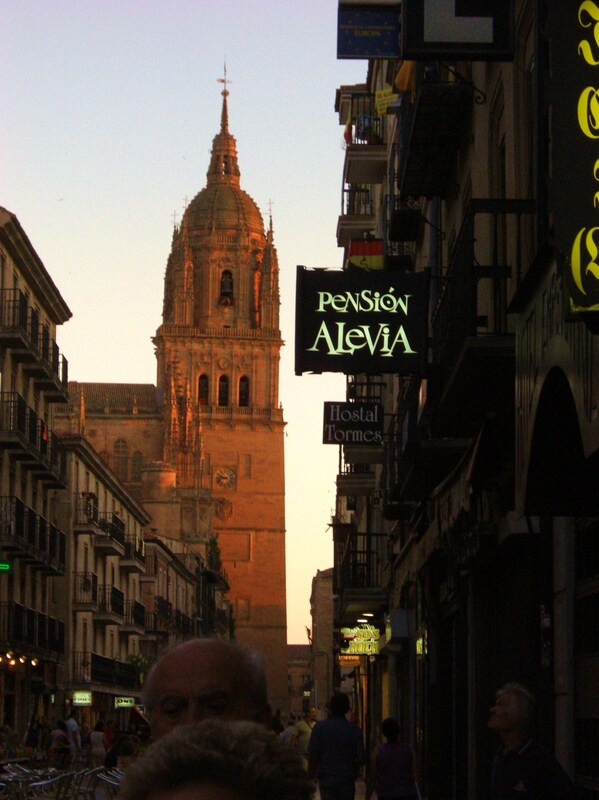 The city is just large enough for you to lose yourself in it and find your way to one of its tremendous tapas bars. Here, in central Spain, pork is king. There’s no better place to try the famous Serrano ham than in the province of Salamanca, but it doesn’t stop there. Endless streets of restaurants specializing in tapas serve up fresh grilled meats with a larger variety of cuts in pork than you can wrap your head around, and I haven’t even started in on the cured, stewed, roasted, and fried varieties. Even if you aren’t into meat, with this may dining options it would be impossible to go hungry. 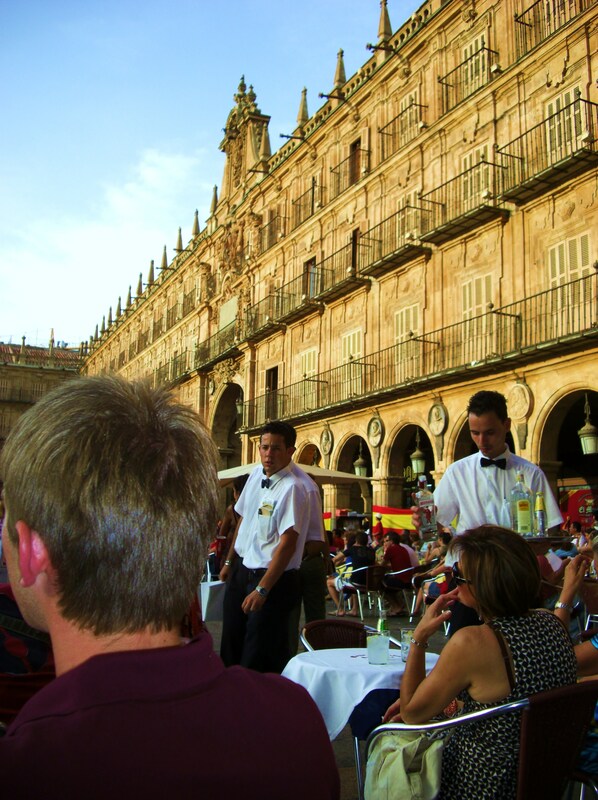 Salamanca is fortunate enough to have one of the three oldest Universities in Europe: the University of Salamanca. Since 1218 the city’s pride has been its university. With the massive student population of the University of Salamanca, the Pontifical University, and countless other study programs it has to offer, it’s understandable that the city breathes such vitality. In fact it’s one of the most popular destinations for the Erasmus European study abroad program. Whether for its historical charm, gourmet gets, or study opportunities, it’s no wonder that people have chosen to come here consistently over its long history. Wow this place looks awesome. I’m going to have to add it to my list of places to visit. Salamanca is definitely on my places bucket list. It sounds like a very nice place to go.